Diane began her real estate career in February 1989. She is originally from Bunker Hill, Kansas. Diane has four sons, eleven grandchildren and one great grand daughter. Diane has 27 years of experience. Diane is Co-Owner of CENTURY 21 Altus Prestige Realty. Diane is a military spouse and military mother. Diane attended the Fort Hays State University in Kansas, Christian Brothers College in Memphis, Tennessee, Western Oklahoma State in Altus, Oklahoma and Southwestern Oklahoma State University in Weatherford. She earned her broker’s license, her Graduate of REALTORS Institute, GRI, and her Certified Residential Specialist, CRS . Less than 3% of REALTORS have attained the CRS designation. She is a “Certified Home Marketing Specialist” and a “Certified Destination Services/Home Finding Specialist”. She attends numerous state and national educational seminars. Diane received CENTURY 21’s Quality Service Award. She received CENTURY 21’s Ruby Award for outstanding production. Diane received CENTURY 21’s Emerald Award for outstanding production. Diane has been named “REALTOR of the Year” four times by her peers. 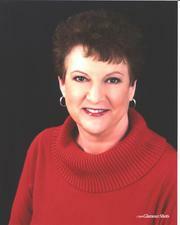 Diane was the first REALTOR to attain the CENTURION Award from CENTURY 21 in the Altus area. She now belongs to the CENTURION HONOR SOCIETY. she was awarded CENTURY 21’S Diamond Award and Quality Service Producer. Other activities and civic organizations Diane is involved with are, Shortgrass Arts and Humanities Council, Main Street Altus, Altus Chamber of Commerce, Beta Sigma Phi, life member of the VFW Auxiliary, Oklahoma National Guard Auxiliary, and has served as State President and State Vice President of the State Oklahoma National Guard Auxiliary. She has been recognized by the State of Oklahoma National Guard Association for outstanding service. Diane received the prestigious “Molly Pitcher Award” from the United States Field Artillery Association. She received “The Minute Woman” award. Both are citizen solider awards. Diane finds it rewarding to help people. She has personal experience in the stress and transitions in transferring and moving, across town or across the nation. She has made several corporate moves. She puts all her energy into her real estate business. She is a consistent Multi Million Dollar Producer, but would prefer to be known for helping families with their real estate needs. Her knowledge and training enables her to provide you with a marketing plan and diversified financing knowledge necessary to meet your real estate needs. Selling a home should not be left to chance, or to a friend to try! Allow Diane and her support team to serve your every need.